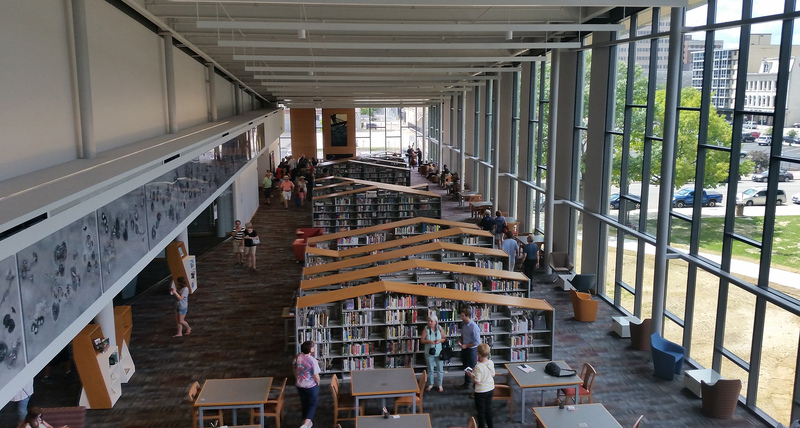 Dayton’s Renovated + Expanded Main Library opens! 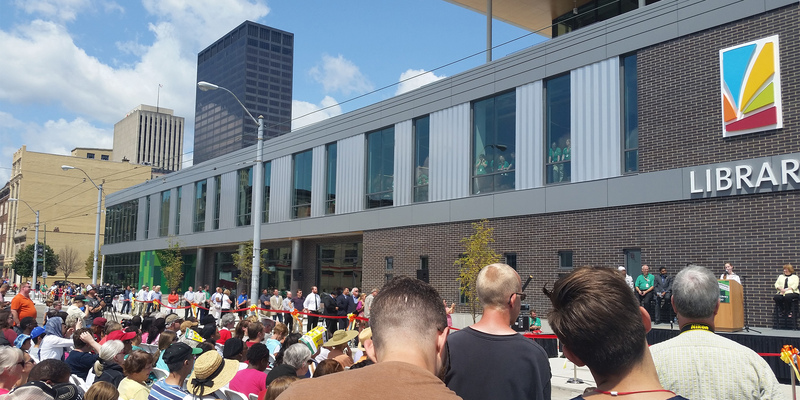 Day-long, 7,500 person block party accompanies the 142,000 SF main library reopening. 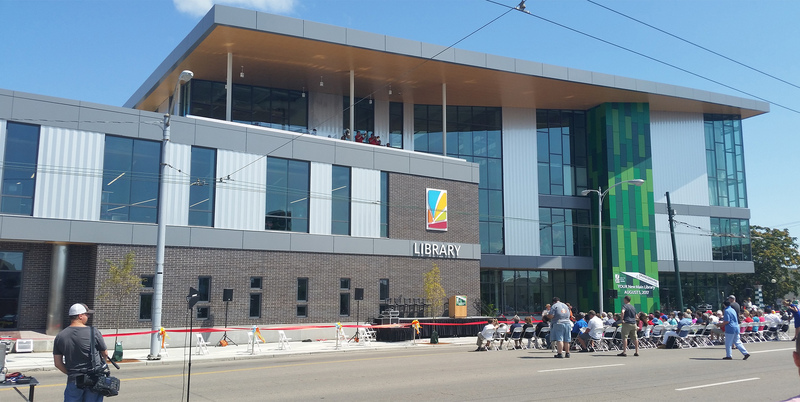 A tremendous celebration – including musicians, dancers, block party, and a 200 person ribbon cutting – accompanied the grand opening of Dayton Metro Library’s Main Library on Saturday August 5th. 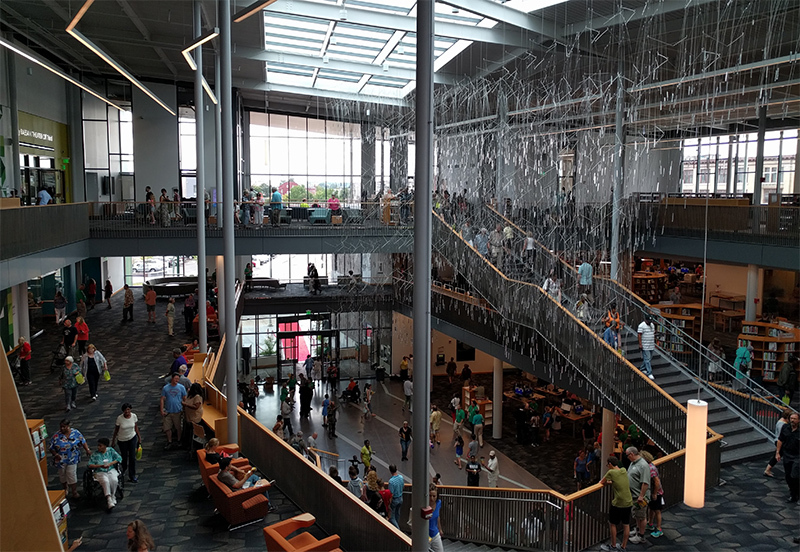 An estimated 7500 people visited the library throughout the day, taking in the impressive three-story main atrium, and working their way to the various nooks and program spaces that will soon be in full swing serving metropolitan Dayton, Ohio. 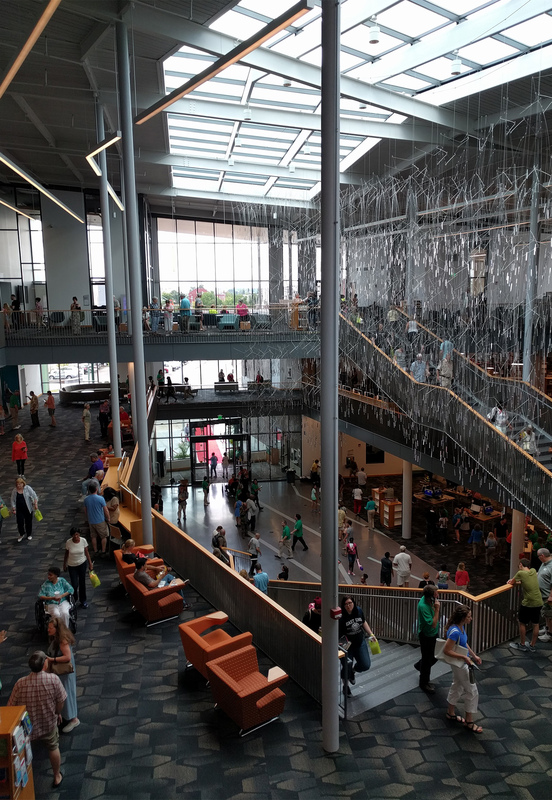 Part of a $187 million bond measure passed in 2012 to revitalized the Dayton Metro Library system, Dayton Main Library renovates an original 66,000 SF building, and introduces a 76,000 SF, three story addition and a 82,000 SF underground parking structure. 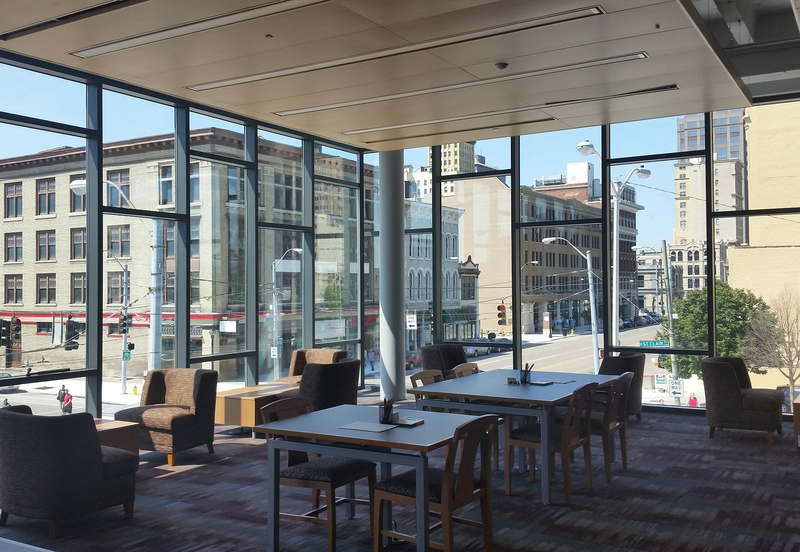 Located in the heard of downtown Dayton, sharing a block with Cooper Park, the library envisions playing a key role in the region’s cultural curation and economic revitalization. 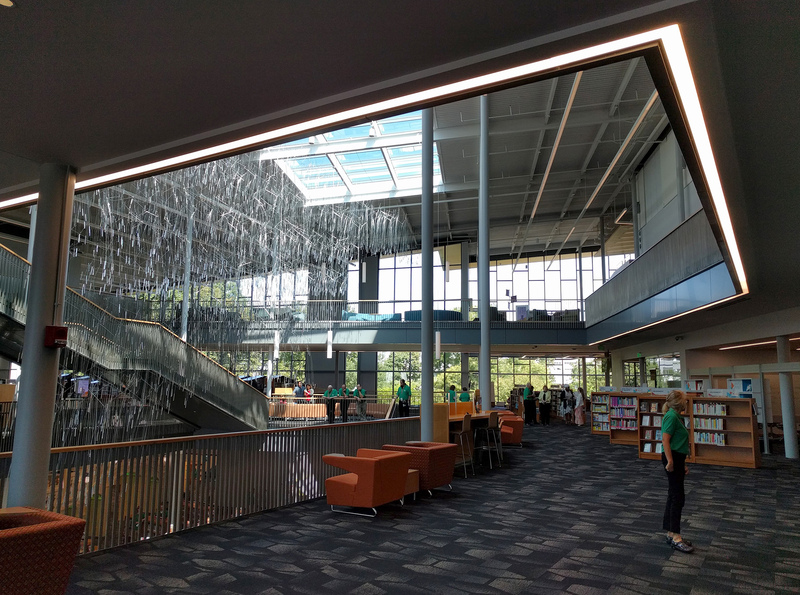 Group 4 designed the library with Dayton based architecture office LWC. Check out more Grand Opening pictures on our Facebook page.